Hip-hop has given a voice to so many individuals, and in turn, those individuals use that gift to express a wide variety of messages. 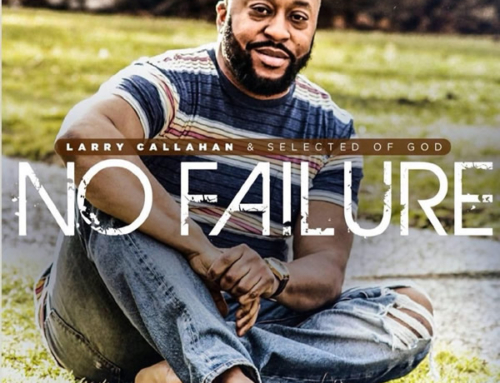 With a great crop of lyricists using their platform to spread themes of the pursuit of pride, superficiality and temporal things, there is yet the voice of one crying in the proverbial wilderness of rap, clearing the path for the move of the Spirit of the Lord; he is the Psalmist, Detroit’s own Brandon Perry. 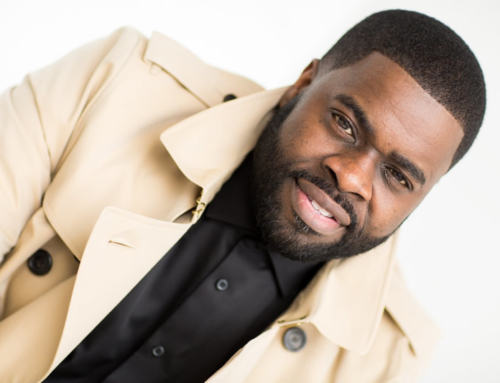 With a new CD entitled The Voice and a growing ministry, Brandon’s purpose is clear. He holds the truth in his heart, and as we all know well from the words of Jesus, “out of the abundance of the heart, the mouth speaks” (Matthew 12:34), or in Brandon’s case, the mouth spits…rhymes, that is. With ministry on his mind and total praise for the God that he serves, Brandon carries the message of the Lord’s love, power and grace faithfully like a millennial John the Baptist. 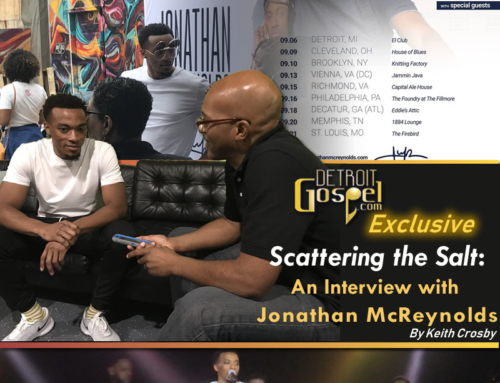 He recently took the time to talk with me about his ministry, his new project, and everything he’s been up to since Detroit Gospel last profiled him over three years ago. Conway: The last time we talked was in 2005. What’s changed with your music and ministry since that time? Brandon: A whole lot. That was the beginning when I was stepping out. Since then, I’ve traveled to different states, getting a feel of what people like so that I can make myself more marketable. I’ve been doing a lot of speaking and making my ministry a full package. I also have my own studio. When I was working on this project, producers would throw me some tracks and say, “Rhyme to this”, but I already had in my head what I wanted to do, so it got to the point where I built my own studio. Conway: Has your ministry had an impact on the individuals that you used to work with when you were doing secular rap? Brandon: It really has. When I was building my studio, I couldn’t do it without a teacher. I talked to the guy that produced for me when I was a secular artist. At the time, he lived in California, but he told me he was getting married and moving back here, so we worked out a deal and he taught me how to set up and operate the studio. He’s not a Christian right now, but he’s moving that way. He attends church with his wife, and the word of God is bustin’ him all in the head! Conway: This project is called The Voice. Break that down for me. Brandon: When I go out and minister, I often ask people for feedback, and the response I’m always getting is, “I really like your lyrics and the way you deliver them.” So I key in on the lyrics; I want to be clear and push a message that can make a difference in people’s lives. I’m like a modern-day John the Baptist. I’m coming at you from every angle; God is speaking to people wherever they are. Conway: When people minister, it seems as if everyone has that one message or those certain themes that they’re really passionate about. What messages do you want to communicate to your audience with this CD that are personal to you? Brandon: I want to talk about personal growth in individuals. I’m not necessarily catered to the streets, but I’m talking to people who know God but are playing. I’m telling people who are already familiar with God to stop playing and let’s get this thing going. Conway: There’s a song on your album called “Bittersweet”. The message on that song is so applicable to working in ministry whatever you’re called to do. How do you deal with the bitter, or hard side of ministry while at the same time keeping it sweet? Brandon: In the church, we’re learning how to peel back the facade so we can grow. When I establish relationships, I make them as authentic as possible. I’m not trying to act like everything is perfect, and I’m able to share that with people so we can pray about it and get over it. Conway: I want to ask you about the song “My Prayer”. I was on your website, and it said that that was the first song you wrote “fresh from the dark side”. How has God shown you that He’s heard your cry and answered the prayer you prayed in that song? Brandon: Honestly, I don’t know if I can really explain it. 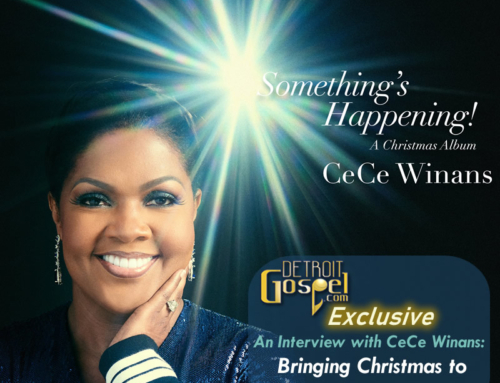 I grew up in the church and left [later in life], but when I came back to church, my mama wasn’t making me go this time; I was doing it on my own, and I wanted the real deal, so I gave God an ultimatum: I went to church and spent time with Him regularly, so I wanted Him to make this real to me. I really don’t know when it happened, but God is just so real to me now. I prayed that prayer in ’95, and it’s been on and poppin’ ever since. Conway: You held your CD release party in April. How does it feel to finally get the project out there and what are you hoping to accomplish in 2008? Brandon: The release party was really a “thank you” party for the people who’ve been supporting me since I first started. We’re still building. We’re reconnecting and working on a network. I want to get this CD out to as many people as I can. It’s not just about the music, but it’s also about the ability to reach people. Music is the fun part, and I want that to open up the chance for me to work with people one-on-one. I want to help people grow so they can go and start their own ministries. For example, I hold a Bible class with some brothers called the Huddle, and it’s called that so that they know that that’s not the end; that’s where you get your assignment and the “plays” for the week, and then you go and do what God said do. 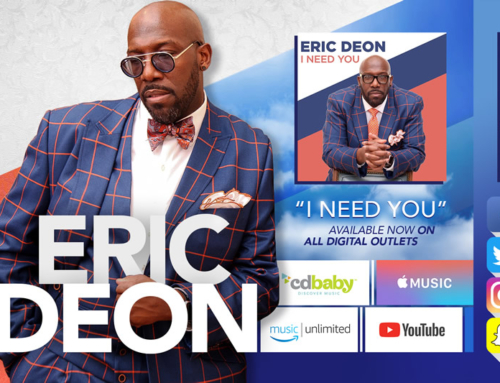 To find out more about Brandon and his new CD, The Voice, and to get booking information, contact Eric Johnson at 313-468-2379 or visit www.breakinbread.net.